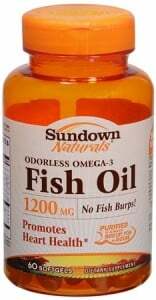 Click here to visit the Sundown site and fill out the easy form to request a free sample Sundown 1200mg Omega-3 Fish Oil. Allow 4-6 weeks for delivery. Tried to get free sample and it keep directing me to survey spots that cost to try. How is that a free sample. Hey Lynn, are you clicking the “Click here” in the post? It’s still working for me? Where do I go to to receive the bottle offish oil? when will we get the samples.I use supplements all the time. I use fish oil for my eyes and the free sample would really help me as I am disabled. Thank you.